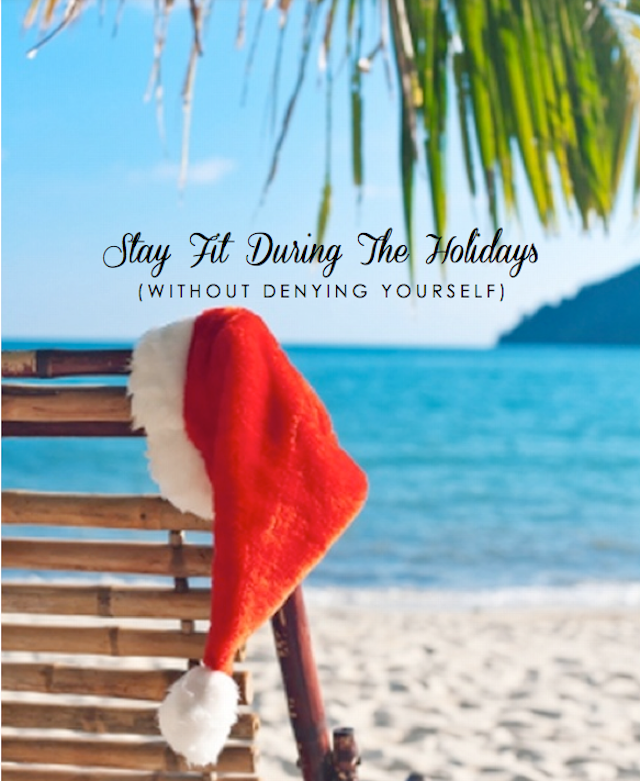 If you read my guest post from Thanksgiving, you now know that having a "fat & happy" holiday isn't always as great as it's cut out to be. Over the holidays the average person gains weight because let's face it... there are treats galore and little motivation to go to the gym in this frigid weather. Chances are, we don't need to be bikini ready anytime soon so why bother. Am I right? If you're feeling this way, you're not the only one. Choose Your Favorites: Holiday parties prove to be the worst temptation for me during this time of year (that and just walking through Trader Joe's. So much chocolate peppermint it's kind of amazing...). However, just because you have your choice of Gingerbread and Peppermint and Chocolate and Fudge and Cake and Cookies and Ice Cream etc etc... doesn't mean you get to have it all. We all have our favorites and not so favorites. Splurge on your favorite treat or two and skip the rest. You know what it tastes like and you know it's not all that great. Amp up Your Workout: The week of any holiday throughout the year, I always throw in a little extra cardio and a few more repetitions in my classes. Especially during Christmas time, we eat, drink and are merry over the holidays. If you're stepping up your eating and drinking, why not step up your workouts? Have you been wanting to try a new class at the gym or try out a new studio? Now is a perfect time to experiment with something new, before the New Years crowd rolls in.